The Falcons signed Matt Ryan to an extension last offseason, and it’s looking like they’ll be locking up their other franchise player. 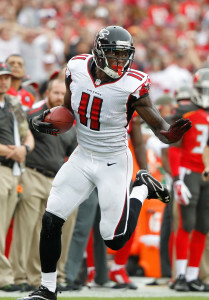 The Falcons are “closing in on” a contract extension with Julio Jones, according to Mike Freeman of Bleacher Report. Freeman reports that the deal will pay Jones “$20 million a year over a four- or five-year” pact, with “anywhere from $50 million to $60 million in new guarantees.” Jones’ contract situation has caused a lot of headaches for the team recently, so this would be a huge development. Jones still has two years left on his current contract, but is grossly underpaid. Jones signed a very team-friendly deal a few years back, and decided last year that he wanted to be more fairly compensated. If Freeman is right, Jones will soon pass Beckham Jr. and Antonio Brown to become the highest paid receiver in football. Jones had another elite season last year, and led the league in receiving yards. He reeled in 113 passes for 1677 yards and eight touchdowns. Following the tragic and unexpected death of offensive line coach Tony Sparano this week, the Vikings have made some adjustments to their coaching staff. Ben Goessling of the Star Tribune reports (via Twitter) that the team will names Clancy Barone and Andrew Janocko co-coaches for the offensive line. Barone, who’s been working in the NFL since 2004, was the Vikings tight ends coach last season. With the reorganization of the coaching staff, senior offensive assistant (and former Raiders offensive coordinator) Todd Downing will take on the tight ends gig. Meanwhile, Janocko had previously served as the team’s assistant offensive line coach. NFL.com’s Ian Rapoport notes (via Twitter) that the team had also pursued former Vikings head coach Mike Tice for the offensive line job. We heard back in February that the 59-year-old was eyeing retirement. Panthers right tackle Daryl Williams appeared to suffer a serious knee injury during practice today, writes Bryan Strickland of the team’s website. The 25-year-old reportedly went down following a “non-contact injury,” and he was later carted off the field. “He’s being evaluated,” said head coach Ron Rivera. “They’ll send him up to Charlotte where he can be closely looked at, and we’ll go from there. I’m not sure. I just know they’re going to take him up and evaluate him later today…Daryl is a solid young man, and he’s a big part of what we do. We’ll keep our fingers crossed.” If the 2017 second-team All-Pro ends up missing time, Rivera said 2017 second-round pick Taylor Moton will be given the chance to earn the starting gig. 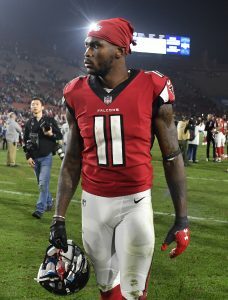 Julio Jones saw several adjustments to his contract before reporting to Falcons training camp, writes Michael Davis Smith of ProFootballTalk.com. The star wideout will now earn a $4.4MM signing bonus thanks to his revised deal, while his 2018 and 2019 base salaries were reduced to $1.5MM and $2.9MM, respectively. Lions wideout Golden Tate is entering the final season of his five-year, $31MM deal that was signed back in 2014. While the 29-year-old shouldn’t anticipate a similar payday as Brandin Cooks or Sammy Watkins, he’s still hoping the organization has some leftover money to keep him around. “I hope there’s some (money) left,” Tate told Dave Birkett of the Detroit Free Press. “Congratulations to all those guys who’ve gotten big deals. They definitely deserve it. I mean, all those players like Cooks and Sammy, they’re all hell of players. Who else? The guy who used to be in Chicago? Alshon (Jeffery). He got a payday, too. So congratulations to all those guys. I hope everyone who plays this game has an opportunity to earn a big payday. I’m happy for them.” Tate had another productive season in 2017, hauling in 92 receptions for 1,003 yards and five touchdowns. We heard earlier this week that Tre Boston‘s deal with the Cardinals was worth $1.5MM (although this could be increased to $3MM). However, Pro Football Talk reports that the safety’s deal only contains $800K in guaranteed money. The deal also includes a number of incentives, including per-game bonuses, playing time bonuses, and Pro Bowl/statistical bonuses. The 26-year-old had a productive season for the Chargers last season, compiling 79 tackles, eight passes defended, and five interceptions in 16 games (15 starts). 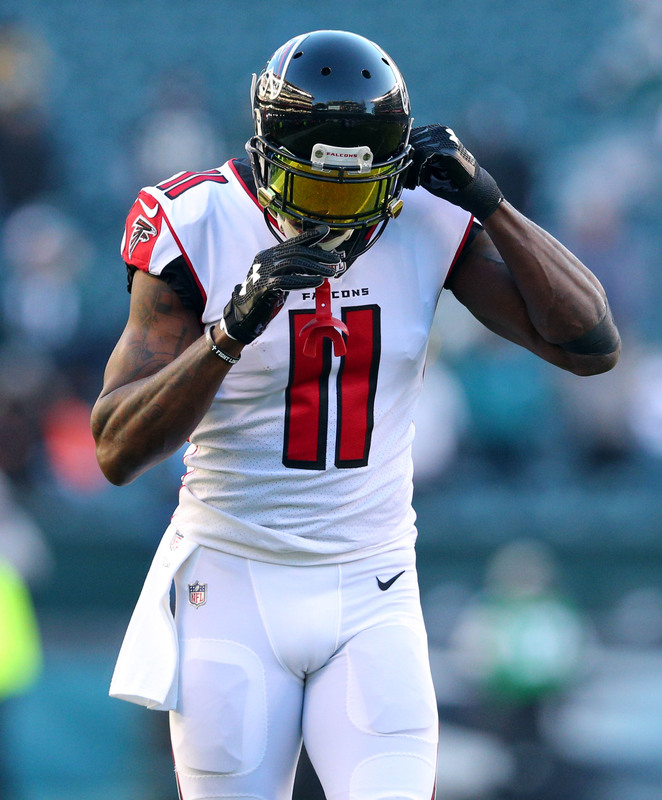 Julio Jones and the Falcons have reached a compromise. The star wide receiver will participate in training camp and the two sides will go back to the negotiating table next year. The Falcons converted roughly $2MM of Jones’ 2019 base salary into a bonus for 2018, Jeff Schultz of The Athletic (on Twitter) hears. That’s far from the mega extension that Jones was gunning for, but it’ll be enough to get him on the practice field and focused on football. Last year, Jones had 88 receptions for 1,444 yards and he has given the Falcons four straight seasons with at least 1,400 yards receiving.. He’s made the Pro Bowl in each of his last five healthy seasons, positioning himself as one of the very best wide receivers in the game. However, with three years to go on his current contract, he didn’t have quite enough leverage to get a new deal. The Falcons are “working intensively” on a new contract for wide receiver Julio Jones, according to Chris Mortensen of ESPN.com (Twitter link). Atlanta is open to “creatively addressing” Jones’ planned salary for 2018, which sits at $10.5MM. Earlier this week, reports surfaced indicating Jones would be holding out from the Falcons’ training camp after requesting an “adjusted” contract in May. Thus far, Atlanta has not shown an inclination to give Jones any sort of an alteration, and were reportedly focused on new deals for players like Grady Jarrett, Jake Matthews, and Ricardo Allen. Jones helped reset the wide receiver market in 2015 by inking a five-year, $71.25MM extension with Atlanta, tying him to the club through the 2020 campaign. However, Jones’ $14.25MM average salary now ranks just ninth among NFL wideouts, behind fellow pass-catchers such as Davante Adams, Jarvis Landry, and Sammy Watkins. In 2017, Jones snagged 83 balls en route to finishing third in the league in receiving yards per game. The 29-year-old Jones has been to four straight Pro Bowls and has two first-team All-Pro nods under his belt. Once his contract is squared away, he’ll once top an Atlanta depth chart that now includes Calvin Ridley in additional to Mohamed Sanu. Falcons wide receiver Julio Jones does not plan to report to camp and he is comfortable sitting out the entire time, sources tell Ian Rapoport of NFL>com (on Twitter). Jones, of course, wants an improved contract, even though the Falcons have told him that he will not be getting one. The Falcons have told Jones taht they would be willing to re-work his contract next year, but Jones wants it done right now, even though he has three years to go on his current pact. In years past, stars such as Antonio Brown, Marshawn Lynch, and Rob Gronkowski have been in similar positions. In those cases, their respective teams moved money from a future season to the current year in order to satisfy the player. That could be the solution here for the Falcons to get Jones back in the fold. Jones skipped the Falcons’ voluntary offseason program and mandatory minicamp, so it’s not a shock to see him stay away during training camp. He’ll face hefty fines for holding out, but it could be worthwhile in the long run if he gets what he wants. Jones is earning $14.25MM per year on his contract, but doesn’t have much left in guarantees. As he enters his final season in his 20s, it makes some sense for Jones to push for the best deal that he can get and holding out is the only way to make that happen since he has three years to go on the deal. Jones has been working out with Terrell Owens as of late, and it’s possible that he has influenced Jones’ thinking. The Falcons star is coming off his fourth straight season with at least 1,400 yards, as he finished with 88 receptions for 1,444 yards and three scores. He’s made the Pro Bowl in each of his last five healthy seasons, positioning himself as one of the very best wide receivers in the game. The Falcons have informed Julio Jones that they have no plans to give Julio Jones a raise before the 2018 season starts, Jeff Schultz of The Athletic hears. However, the Falcons maintain hope that Jones will report to training camp next week. The Falcons have never renegotiated a contract with more than one year left on a deal, and Jones has three years to go on his pact. The Falcons are apparently holding the line for now, even though Jones is a transcendent talent. Instead, they’ll focus on extensions for players like defensive tackle Grady Jarrett, left tackle Jake Matthews and safety Ricardo Allen, all of whom are entering their walk years. The Falcons have told Jones that they are willing to discuss his deal after the 2018 season, Schultz hears. The Falcons may feel that is a solid compromise given their position on early extension talks, but Jones may not see it that way. After skipping the Falcons’ voluntary offseason program and mandatory minicamp, Jones watched Rams wide receiver Brandin Cooks ink a five-year, $80MM contract earlier this week. The new money average gives Cooks a higher average salary, even though he is not as accomplished as Jones. That development has almost certainly rankled the Falcons star. Falcons training camp begins on Wednesday afternoon with the first practice scheduled for Thursday. Everyone is waiting to see whether Julio Jones will show up for Falcons training camp, but fans received an encouraging sign this week when Jones arrived at Matt Ryan‘s offseason passing camp (Twitter link via team). Jones has stayed away from the team this offseason in hopes of reworking his contract and it’s not clear if he’ll join his teammates on July 26 in Georgia. Jones is underpaid for what he does, but he has three years to go on his deal and the Falcons aren’t under any real pressure to revise his deal. His yearly average of $14.25MM once seemed like a lot, but it’s now good for eighth among wide receivers. Jones could, in theory, improve his leverage by continuing to skip team activities, but he’ll have to pay substantial fines. Titans defensive end Jurrell Casey says he’ll stay on the field and protest during the national anthem, while accepting any fines levied against him under the terms of the new anthem policy. “I’m going to take a fine this year, why not?” said Casey (via CNN). “I’m going to protest during the flag. That’s what I’m going to say now.” Casey, 28, inked a four-year, $60.4MM extension with the Titans in 2017, so he can probably afford to pay some fines. It remains to be seen whether other players will follow suit. Linebacker Darius Leonard is the only unsigned rookie left in the Colts‘ draft class yet to sign his contract, but that might not be the case for long. The Colts still expect to have a deal done by the time rookies report on Sunday, a source tells Stephen Holder of the Indy Star (on Twitter). Jones’ Relationship With Falcons Strained? 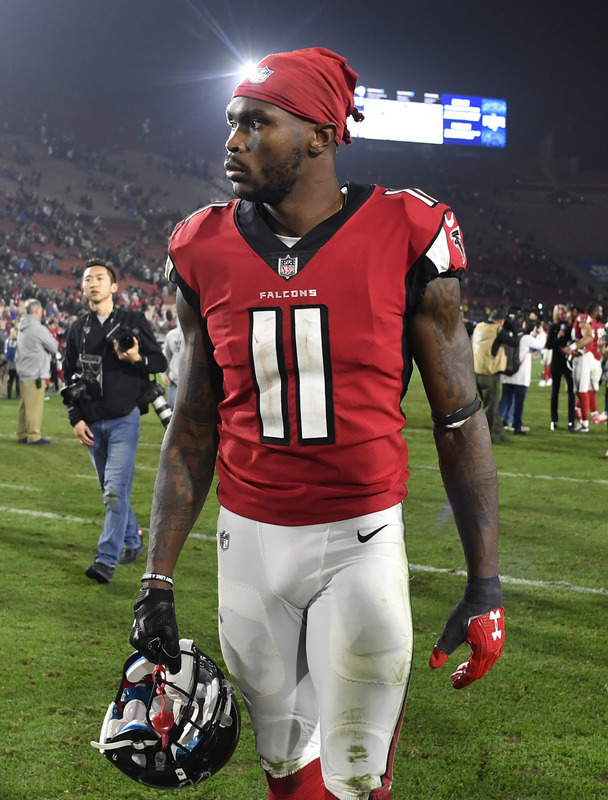 Seeing the likes of Sammy Watkins, Jarvis Landry and Davante Adams surpass his once-NFL-high wide receiver contract, Julio Jones has stayed away from the Falcons in pursuit of an adjusted contract. And Dan Quinn appeared to intimate the sides were on the same page. But there may be some fence-mending that needs to happen before the parties can work together again. Well, a new contract might do the trick, too. However, Jones and the Falcons have had a strained relationship for weeks, Mike Freeman of Bleacher Report notes. Jones said earlier during Atlanta’s offseason program, which he stayed away from, there was no bad blood between he and the Falcons. That may not be entirely true as he guns for an updated deal. Jones has three seasons left on a contract agreed to in 2015, one that’s paying him $14.25MM per year but has little guaranteed dollars remaining. Additionally, the Falcons look to be concerned about the person he’s chosen to train with in lieu of attending team workouts. 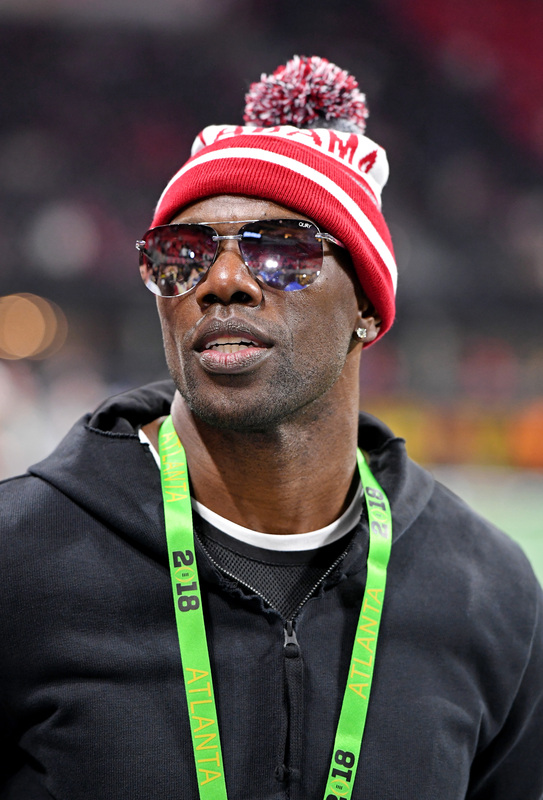 D. Orlando Ledbetter of the Atlanta Journal-Constitution (via CBS Sports) said during a radio interview this week Atlanta’s front office has been “uneasy” about Jones working out with Terrell Owens, one of the most polarizing players in NFL history. This will be Jones’ final season in his 20s, and he’s going into his eighth year. And given the contracts recently handed out, this serves as a logical juncture for Jones to make a stand. The holdout, with three years left on a contract, also has the Falcons “uneasy”, per Ledbetter. While a contract amendment with so much time left would set a precedent the team likely would prefer to avoid, it’s hard to picture the Falcons lining up without Jones in Week 1. For now, though, the decorated wideout is at odds with the Falcons and is part of an extensive holdout contingent.